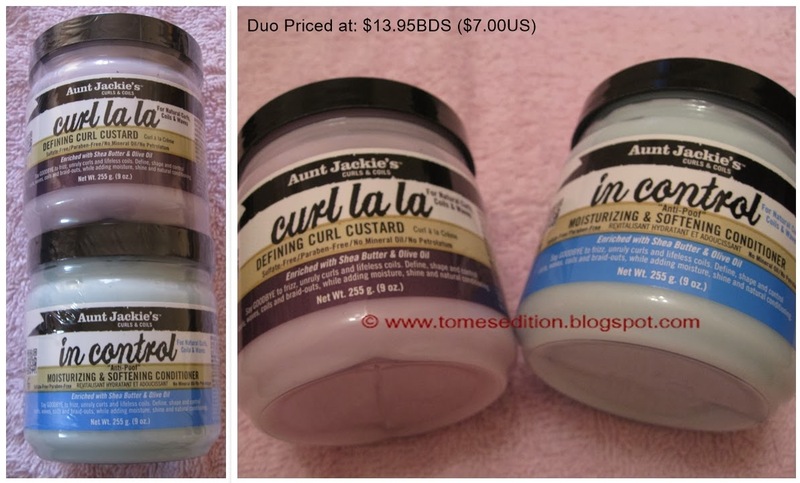 While I was in Bridgetown last weekend I went into Mall Mart supermarket and saw the Aunt Jackie’s Product line and it seemed reasonably priced for the duo they were offering. Both of them were for $13.95BDS. I have read great reviews and decided to indulge. What really attracted me to these products were some of the natural ingredients and packaging. All of the ingredients aren't natural so if your hair doesn't like cones this product isn't for you. The color is very pale which light blue is. It has a floral/flowery smell which is strong but it isn't overpowering because you guys know I can’t stand strong smells in my products. The color is light purple or lavender. It’s also has a floral/flowery smell which is strong but isn't overpowering. The true test would be if the smell lingers after the product dries. The reason I indulged in this product is because I've been looking for a holding product to do my braid-outs, twist-outs (when I eventually try it) & bantu knot out. 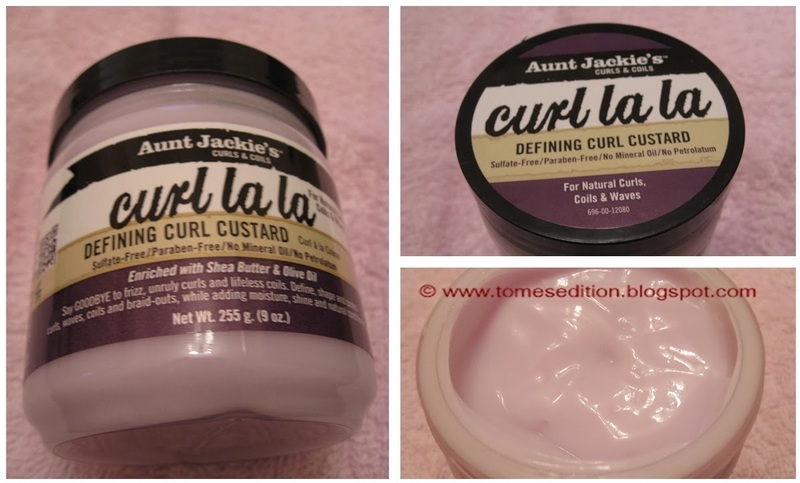 After purchasing the product I was talking to two girlfriends of mine and they both said they have the Defining Curl Custard but didn't work for them and they are both natural ladies. Both of them asked why I didn't mention to them earlier that I wanted to try it because they could have given me their product sigh. Have you tried any of Aunt Jackie’s Product line? You seem to have access to a range of products in Barbados. I wonder if Jamaica is the same now? 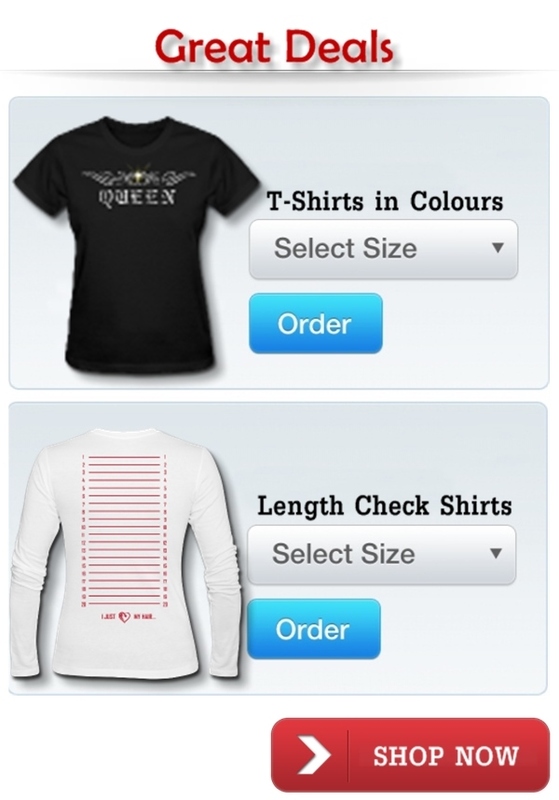 The range has been increasing which is awesome. I would love to try them. Kisses! Being a Naturalista, let me know your thoughts! Thanks for your input, will certainly take that into consideration when I use it. I haven't tried them ... I'm excited to read your review though. I need a good conditioner...may try to get my hands on the conditioner.